Holidays are a time when a range of emotions get stirred up. Like homemade cranberry sauce and stuffing, emotions are often a mixture of ingredients. Excitement, joy sadnessand stress can all be part of the family recipe. Many adult children must face a changing reality and confront their own anxiety and grief as their parents lose strength and independence. These changes are often more prominent around holiday time, particularly for adult children who live a distance from their parents. It’s easy to overreact when you haven’t seen your folks in a while and they appear distracted, confused or frail. EHealth: Many caregivers spend heavily | LifeHealthPro. Mobility is independence. Losing the ability to move about on your own is the equivalent to losing a portion of our independence. Those who find themselves with decreasing mobility not only battle with the physical effects of their condition, but the emotional effects of their condition as well. As their loved ones, we find ourselves in an important position of helping them meet their day-to-day needs as well as working with them to overcome the emotional stress of having to reinvent the way they interact with their day. 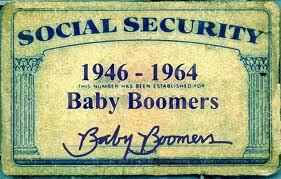 Do “Baby Boomers” drive Real Estate booms? Some economist link the buying habits of “baby boomers” to the demand for homes in this country. Since most “boomers” have already bought their homes, they conclude, the demand for housing is declining, along with the rapid appreciation in real estate during the last decade. This argument presumes that the population will stabilize or decline as these potential buyers age and their children grow up. What is left out of such a picture is that the emerging real estate market is made up of people who are immigrating to this country. When these newcomers have achieved a stable income, they look for the best living situation they can find, often preferring buying to renting. There are many treatments to decrease falls in the elderly that’ve been not helpful. Home-based and group exercise intervention programs help the most (for elderly living in their own home)! A second factor to reduce falls is “home safety interventions” when done by occupational therapists. The above information was collected by the 2012 Cochrane Database. These combined studies performed in 21 countries and included 79,193 patients. Other specifics include the fact that vitamin D supplementation only helped decrease falls they were vitamin D deficient. Joining us today is Mary Eileen Williams, founder of The Feisty Side of Fifty / Baby Boomer Women, and she’s here to share her perspective on women over fifty in the job market today. 1. Are those over fifty uniquely qualified to solve challenges in the workplace, compared to their younger peers? Although each age group embodies certain attributes that make positive contributions to the workforce, older employees boast unique strengths that only age and maturity bring. Three of these valuable qualities are perspective, people skills, and a mature work ethic. 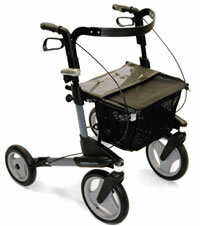 The Worlds finest walker in now available in the US.